7:30 on a Saturday morning is quite early for most to be out and about. But that does not stop us at the Bean Life Science Museum! We had bird specialist, Merrill Webb, leading us on an expedition to search for our national symbol, the Bald Eagle. They come from all over to winter in Utah, primarily to feed on migrating waterfowl as well as carp around Utah and the Great Salt Lake. Close to 15 people came together that morning and off we went to Lake Shore, a little farming community on the south eatern shore of Utah lake. As the sun rose over the Wasatch mountains we searched for eagles. They roost in trees during the night and they leave early in the morning. We wanted to find them before they took off. After winding through the farm roads in the distance there was a cluster of cottonwood trees, and in those trees Mr. Webb spots a lone eagle. 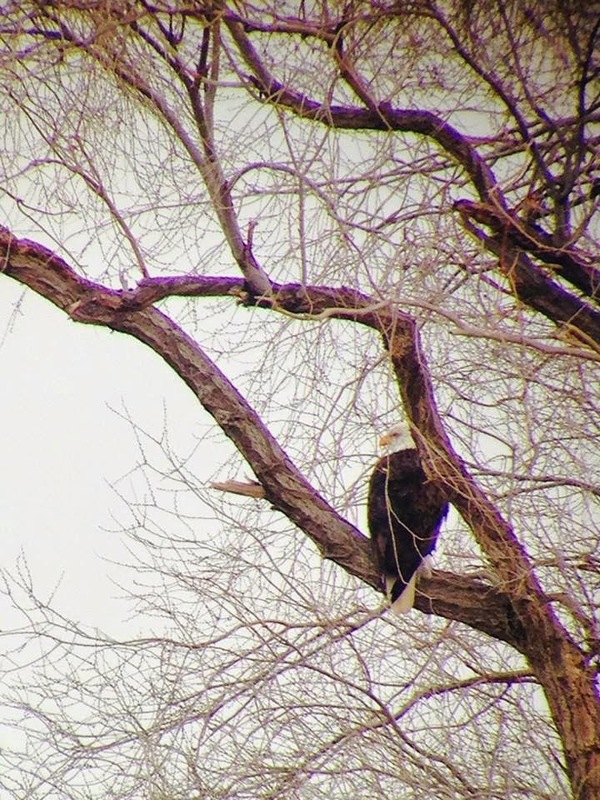 This was one of the five eagles that has been spotted in the area. It had a brilliant white head and tail with a dark brown, almost black body. People quietly slipped out of the vehicles trying to contain their excitement. Spotting scopes were put up and binoculars were hanging around necks. It was a chilly morning but it didn't seem to bother anyone as we watched this beautiful creature. 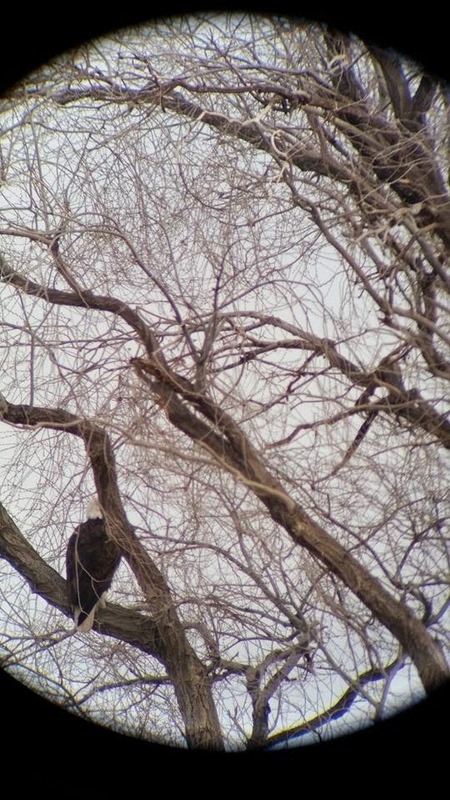 The eagle stayed in the tree for some time. 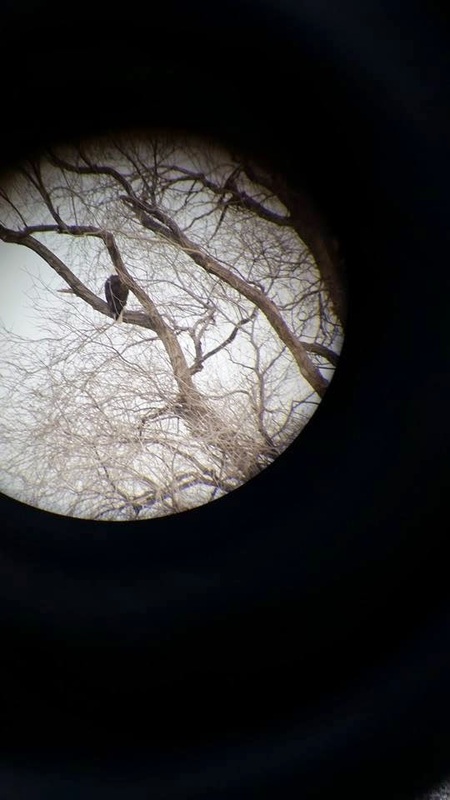 People took pictures through the scope with their smart phones and eventually the eagle took off, displaying that large 7 foot wingspan and flew away. After the main attraction we went about utah county to Salem and back to Provo. During that time we saw red tail hawks, ring neck pheasents, american kestrels, canada geese, mallards, golden eyes, wood ducks, lesser scaups, gadawalls, magpies, grackels and another rare bird, the lewis' woodpecker. 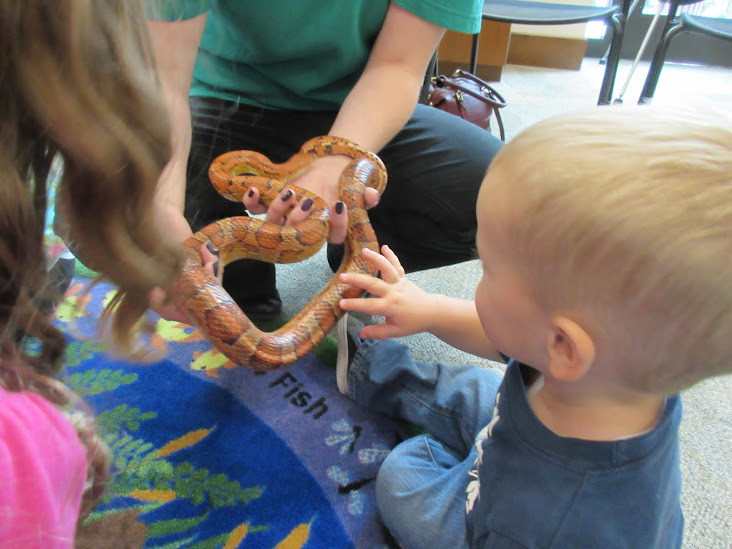 All enjoyed the enthusiasm of Mr. Webb and his vast knowledge of the avian world. Those there were excited to see what was out there. None left feeling that their early morning was a waste.